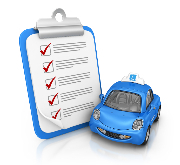 Taking your driving lessons with Passmaster is a pleasurable experience with excellent pass rates and highly recommended male and female instructors. Free Theory / Hazard Perception Training facilities in our Crewe head office for people learning with us! New Driver Offer £130.00 for 1st 5 hours paid in advance. 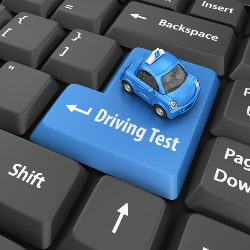 All our pupils get FREE access to our computerised mock Theory and Hazard Perception Training in our Crewe office – you can practice the test before you go for the real thing! If you want to practice at home we have Theory Training Materials available at a discounted price. This includes: The new DSA Theory Test Question Bank, 300 Hazard Perception Video Clips, Practical Test Revision Aid, 13 Official DSA ‘Show Me, Tell Me’ questions, The Official Highway Code and much more!! For the first step towards passing your test and the convenience of travelling anywhere at any time, do not hesitate to contact us. We have a new ADI addition to the Passmaster team in Crewe and Nantwich. Steve joins us as an experienced ADI providing lessons throughout the area, and is a welcome addition to the team. Great news for you guys on the waiting list and prospective new learners looking to realise their driving ambition! Book your lesson now. We still have vacancies for good Driving Instructors (ADI's and PDI's) in Crewe, Nantwich, Sandbach, Stoke and Newcastle areas. With the most competitive franchises in the area contact us for further details. Test waiting times April 2019: - Test dates in all areas are now booking from May onwards. Always check with your instructor before booking a driving test. We are currently running waiting lists for lessons in most areas, please contact the office on 0333 700 8899 for further details.